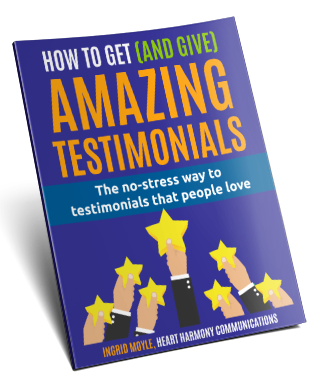 Struggling with testimonials for your small business? When you are in small business, it’s easy to get overwhelmed with getting and promoting your business online. It’s way outside your comfort zone, with stacks of jargon and programs – all with their own rules and weird way of doing things. That’s where we come in. Heart Harmony Communications have been helping small trades and service businesses across Brisbane get online without the overwhelm for over fifteen years. We are on a mission to help you tame your small business online one byte at a time. We help you with web design, web copywriting and content marketing – all without the heavy jargon and expensive price tags. Get online or improve your online presence with a fast, mobile responsive website. Marketing success all starts with powerful words for your website and your print marketing. Blogging and content marketing attracts new clients and is a key Google SEO strategy. Need marketing mentoring or fresh ideas? Pick our brains to boost your business. Find out how we can help your small business with the right website, words and online strategy. Ingrid set up my LynetteFinchAuthor website quickly and that was impressive enough because I had a book about to be launched and no site to launch it on. The site is elegant and complex and now I'm selling books all around the world and people are sending me compliments on how well my site works! It works well on the phone too. It works! Thanks Ingrid. We'd certainly recommend Ingrid at Heart Harmony Communications. The copywriting she did for us was excellent quality, and completed ahead of schedule. 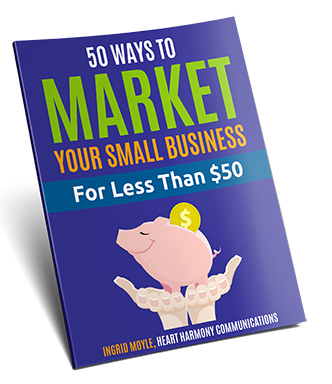 Get regular practical tips & inspiration for your small business marketing.